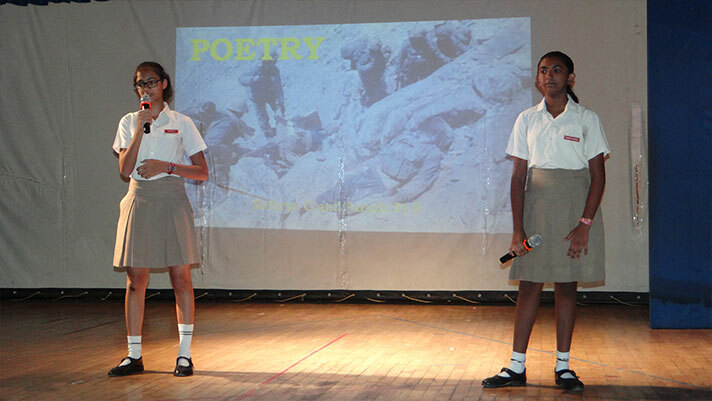 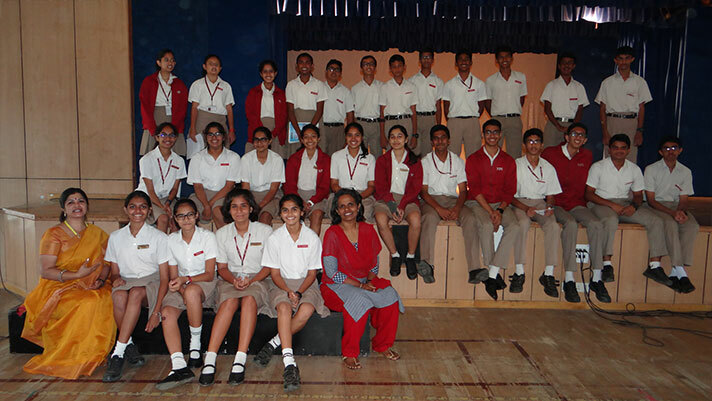 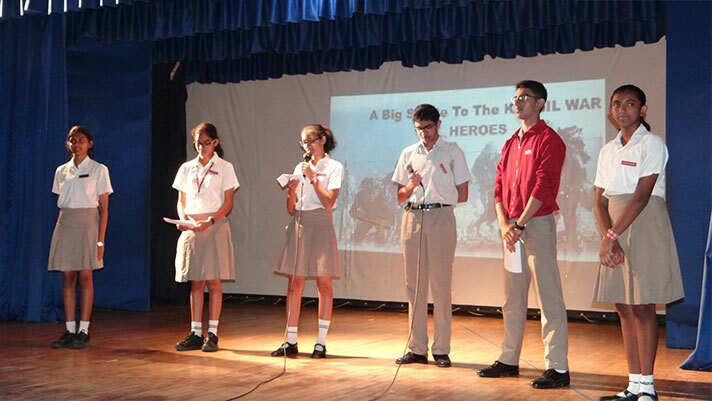 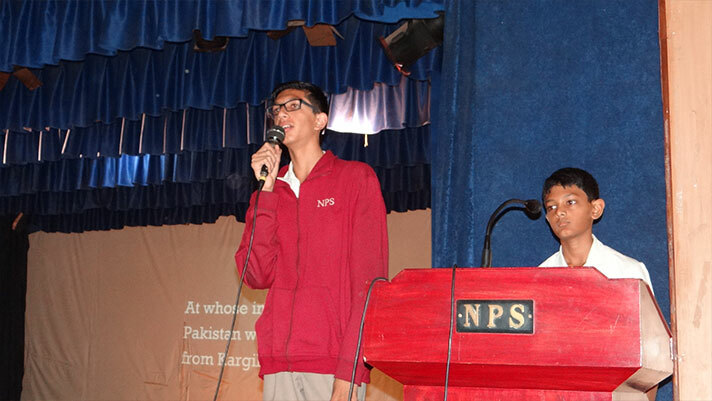 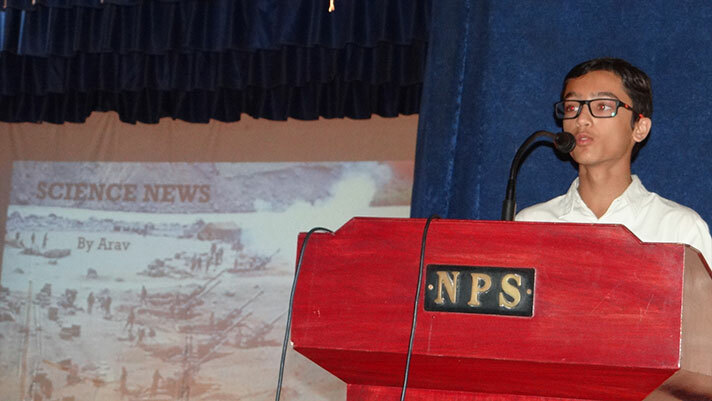 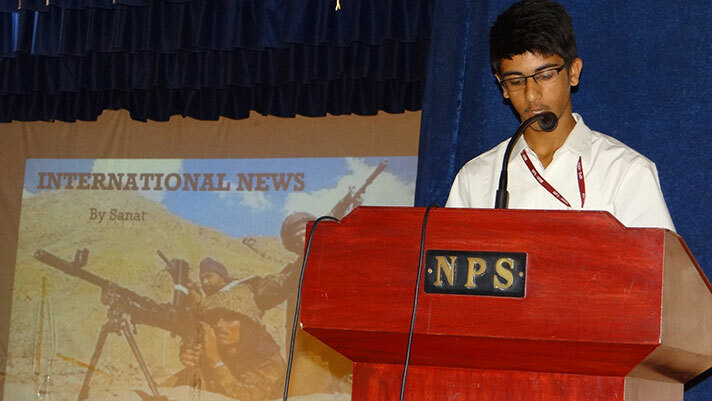 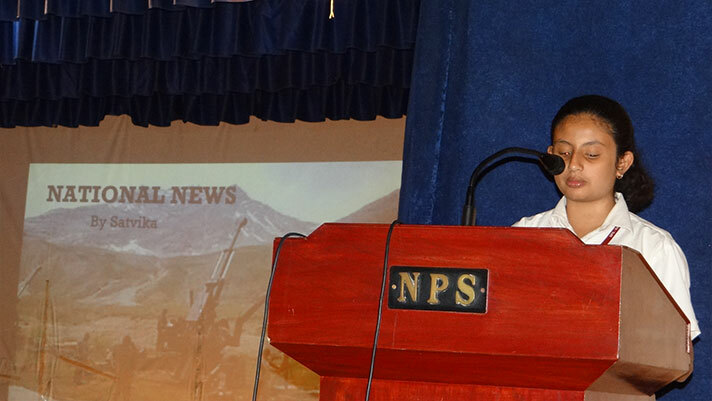 On 24th July students of grade 10C conducted their class assembly: a tribute to the heroes of Kargil war on the 19th anniversary of Kargil Vijay Divas. 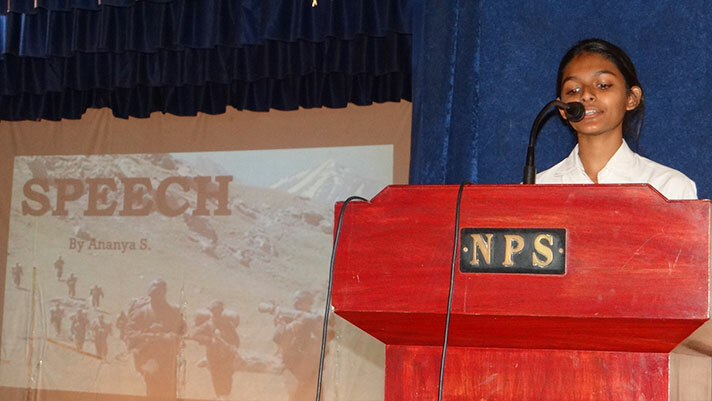 The presentation gave a profound insight into the tough but proud lives of our brave soldiers who gloriously fought for the country in the harsh, inhospitable lands of Kargil. 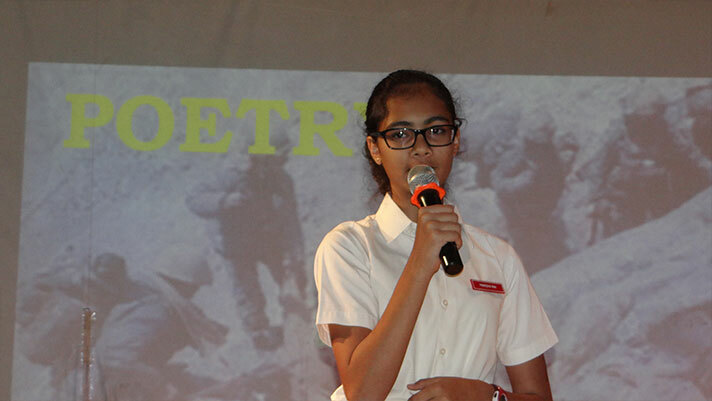 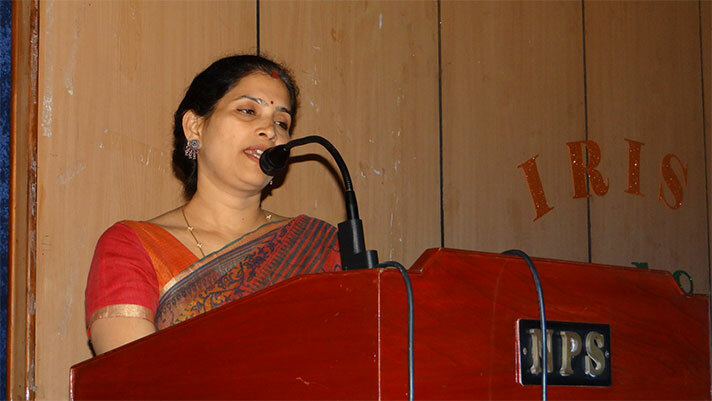 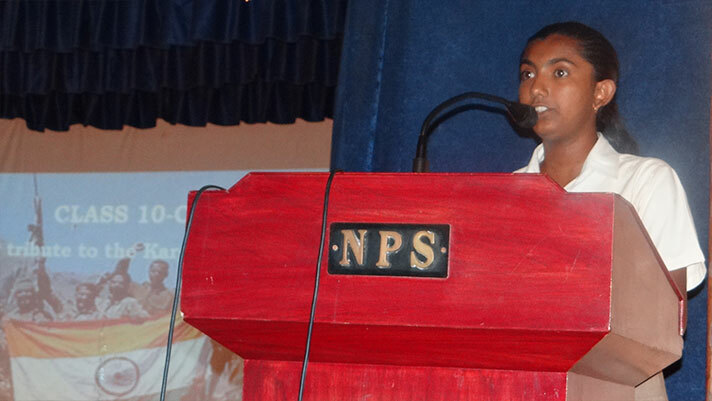 A self-composed poem by the students was well recited, it touched the sensibilities of the audience. 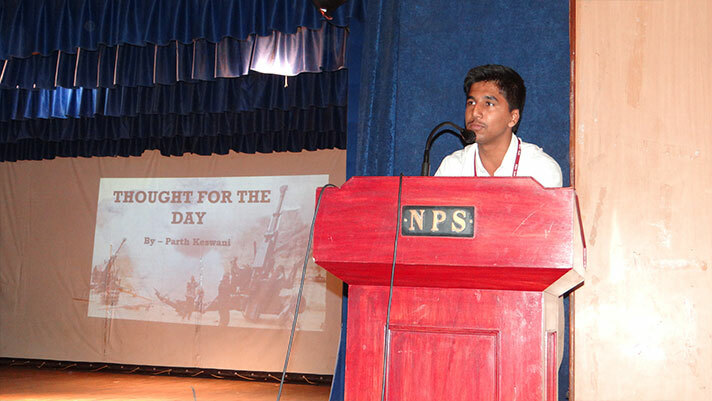 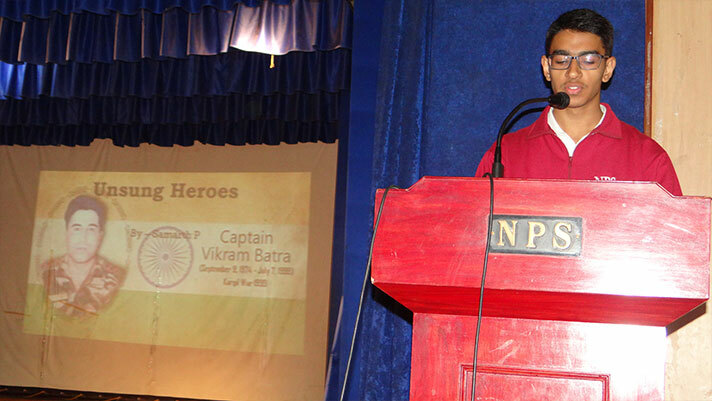 Biographies on Captain Manoj Kumar Pandey and Lt. Vikram Batra were presented which provided a close look at their valour in life and heroism in death. 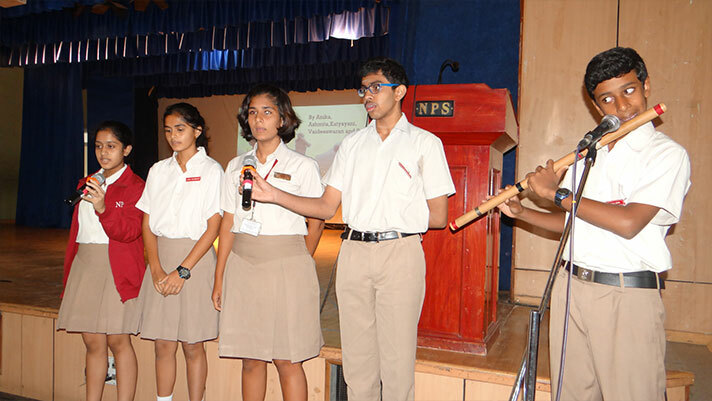 A medley of patriotic songs accompanied by soulful rendition of the flute fanned our love for the country.